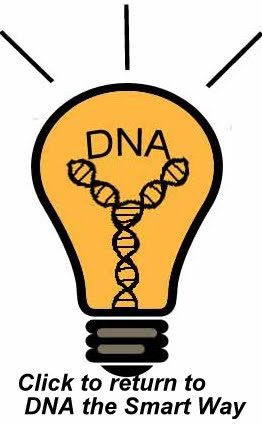 The information you post on your FTDNA personal page about your ancestors is a big part of DNA testing. Don't ignore it! The information you submit for "Most Distant Ancestor" will be posted with your results and shown to your matches. The GEDCOM you upload will be provided to your matches to help them find connections in your paper trails. Personal Page--as soon as your test kit is returned. How do I provide my Most Distant Known Ancestor at FTDNA so it will appear with my results? How do I provide my family tree information (GEDCOM) at FTDNA? kit is returned) to log in at www.familytreedna.com to view your “myFTDNA page”. 2. Click on "Manage Personal Information" in the left column under "Profile"
Click on "Genealogy" near the top of the next page. Click on "Most Distant Ancestor" near the top left corner of the next page. You can add your Earliest Known Ancestor Information on the next screen. "Direct Paternal Ancestor” is the important one for your YDNA test. “Direct Maternal Ancestor” is your mother’s mother’s mother’s line—important for mtDNA tests. NOT the wife of your paternal ancestor. 2. Click on 'myFamilyTree" in the section "Family Tree" near the top of the page. 3. Click on "Upload GEDCOM"
7. Select your GEDCOM file and follow the steps to upload. GEDCOM is an acronym for GEnealogical Data COMmunication which is a cross-platform plain-text file program developed by the Church of Jesus Christ of Latter Day Saints. Nearly all genealogy programs support the importing and exporting of GEDCOM files. The symbol for the GEDCOM will appear next to your name when you are a match for another man, and he can click the link to view your GEDCOM to find any connections. When you see the blue GEDCOM symbol (below) next to the name of your match, that means he has uploaded his GEDCOM (his family tree). If the results have been or are going to be uploaded to ysearch.org or mitosearch.org, then also upload your GEDCOM to those results as well.